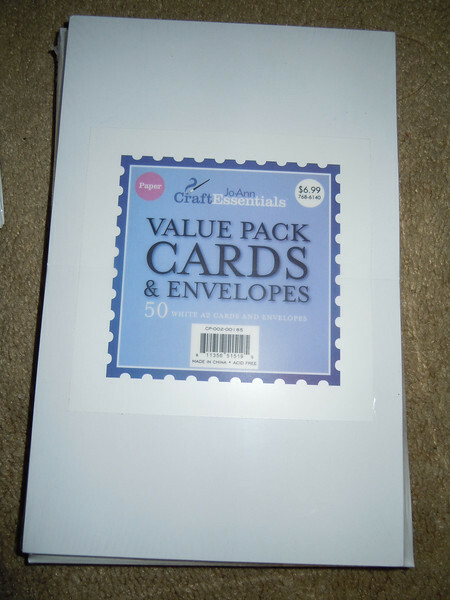 JoAnn Craft Essentials Value Pack Cards and Envelopes. White A2 Cards and Envelopes. There are 50 of each in the package. Sells for $6.99 at JoAnn's Fabric. I have 10 packages available. Each package $3.50 or all 10 packages for $25.